A bold, progressive vision — policies to transform America. Her green plan is not obtainable and the #FakeNews and others know it. They are allowing her to blather because of the nuts that follow her. This woman is dangerously stupid. An empty wagon always makes a lot of noise and gets noticed. Talk about an empty dress. She gives new meaning to dumb as a rock. OMG! How in heavens did she win an election? Who will the Demonuts and #FakeNewsMedia, mainly #FakeNewsCNN, blame for #BaldersonForCongress win? Russia again? The left is all about looks and nothing on substance. Alexandria Ocasio-Cortez knows nothing and will be a nothing burger. She can take her style of politics to Venezuela and rest it there. A huge supporter of #OcasioCortez, I thought AOC was a w-c waitress like I was as I worked my way through college while supporting my family. Facts: her dad was a Westchester architect. She's a grad of BU. Still ousted a big fish--but by only 4k votes. I DESPERATELY want what @Ocasio2018 is campaigning for. I have been fighting for socialized #healthcare and income equality since high school. But no false narratives: AOC won because she worked very hard & Crowley didn't. That's classic establishment politics, not revolution. #AlexandriaOcasioCortez has SUCH an impressive resume that I am seriously po'd at how the MSM and others are erasing & dismissing her accomplishments to fit their own narratives. AOC was already a high school star who won a national science award with a project in microbiology. 1. 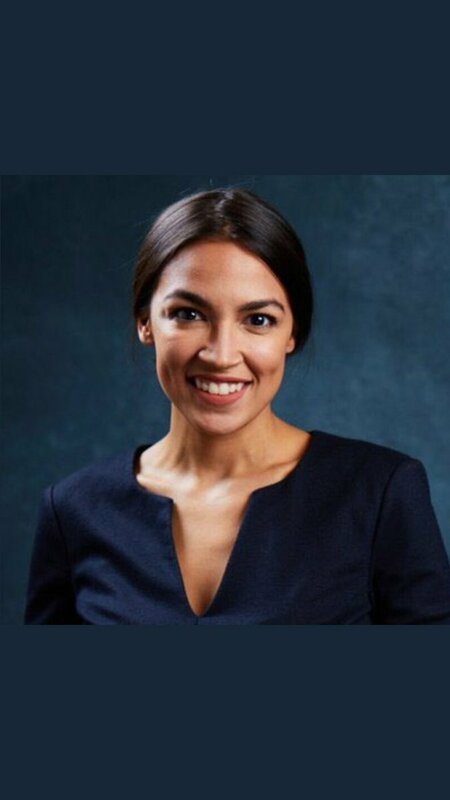 I’m extremely happy for #AlexandriaOcasioCortez, but some of the ‘hot takes’ this morning from the press and punditry are just a lot of ‘hot air’. Yes, primaries can shift candidates away from the center, but, primaries differ from the GE and Congress differs from campaigns. 2. Choosing a further left candidate in a bright blue district is exactly where one expects to see these kind of shifts - and it’s a good thing, but can’t be extrapolated across the national party and across districts. 3. And, make no mistake, even in this progressive arena, Cortez will face tougher competition in the GE than an incumbent would have. That doesn’t mean it’s not worth the risk - but it speaks to strategy. Jason Crowley knew this and immediately endorsed Cortez. That helps a lot.